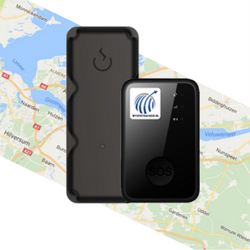 With My GPS Tracker, we have more than 15,000 online trackers, making us the specialist in GPS tracking for organisations. My GPS Tracker is all about user friendly, plug-and-play products. Link an activation code to your account and your tracker can immediately be followed live. With My GPS Tracker, you can equip your business assets with reliable track-and-trace solutions in no time. Organisations use My GPS Tracker to get more out of their business. Getting a handle on your organisation guarantees cost control, process optimisation, and asset security. You can follow your assets using the online My GPS Tracker portal, in the app, or via our open API, which allows you to integrate the data into your own systems. With smart notifications and reports, you’ll get an e-mail or push notification automatically if an important situation arises. That saves you time and keeps you in control at all time. SOS: message when the emergency/SOS button on the tracker is pressed.